Top Ten Tuesday is a weekly meme hosted by The Broke and the Bookish. Every week, a new topic is chosen and people are allowed to make their own lists. Despite really liking this week’s theme, I really struggled to find books to feature. There are so many ways to interpret the word ‘unique’ so the books I’ve chosen to feature are for many different reasons. I don’t think I’ll ever read such a unique and original book as Every Day. Its concept is phenomenal and I can’t think of a better person to write it as David Levithan. More Than This by Patrick Ness is also a book with a breath-taking concept. I wish I could read it again for the first time because I can remember the feeling when I first read it, and how blown away I was by it. I can’t write this list without talking about Harry Potter, can I? It screams ‘unique.’ The world, the way it is written, the dedication of the fandom. Will there ever really be a book quite like it again? I doubt it. This Star Won’t Go Out (I write this wearing my TSWGO t-shirt) is totally unique, not just because it’s non-fiction, but because of how it affected me. It’s such an emotional book and that’s what makes it so special. It’s real life and honest. 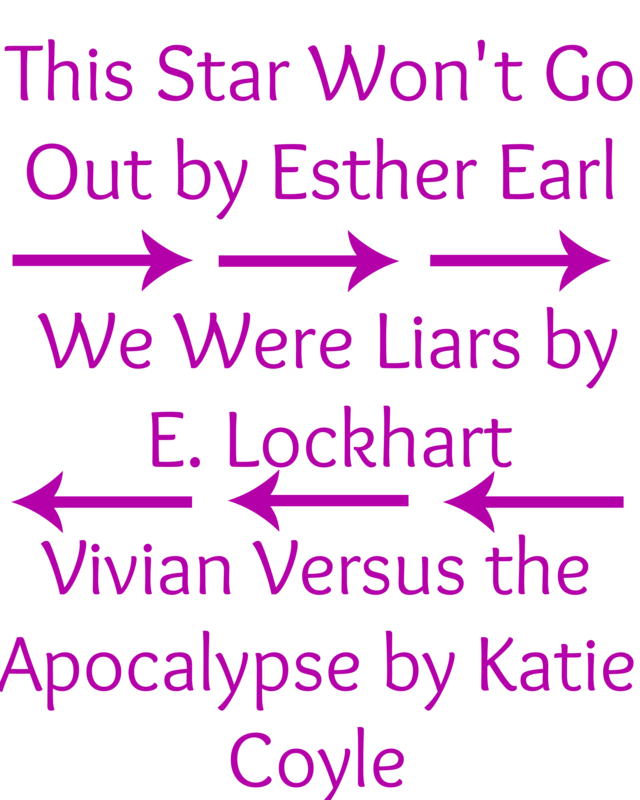 We Were Liars by E. Lockhart has to be unique because THAT. ENDING. I’m still reeling, over a week after reading it. I don’t think I can risk saying any more, but, yes, I haven’t read a book quite like it before! I love Vivian Versus the Apocalypse by Katie Coyle because it seems very straight-forward but so much happens. I can’t wait for the sequel! The Library of Unrequited Love is a very small book, less than 100 pages, but so much is discussed within so few pages. It’s also translated from French, and set in France, which I think adds to its originality. I think The Unbecoming of Mara Dyer trilogy (or the two books is it so far) win the prize for the biggest change from a first book to its sequel. I can’t wait for the final book because I know there’s going to be a lot going on. Dreaming of Amelia is written in the form of exam papers, which I thought was such a great idea. All of Jaclyn Moriarty’s books are written in a quirky style – as letters, emails etc. – and I think this is my favourite of hers. Magus of Stonewylde by Kit Berry is unique because of its setting. There will never be another Stonewylde for me. If I could live in any fictional world, I would live there; it is the place I imagine when I close my eyes, and the place I dream of when I sleep at night. That’s my list! What would be on yours? I don’t know all the books I’d put on here, but I know that The Wizard of Oz, Peter Pan and Knife would all be near the top of my list! Fantastic list Lucy. I can’t wait to get to We Were Liars. Hopefully soon! I also really want to read More Than This. Oooh it looks so good! I completely agree with you about The Unbecoming of Mara Dyer. I was blown away by it. yes, yes, yes, WE WERE LIARS OMG 😀 Also, I really, really need to read TSWGO, I’ve read so many amazing thinkings about Esther and I flicked through the book the other day in Waterstones and it’s beautiful! 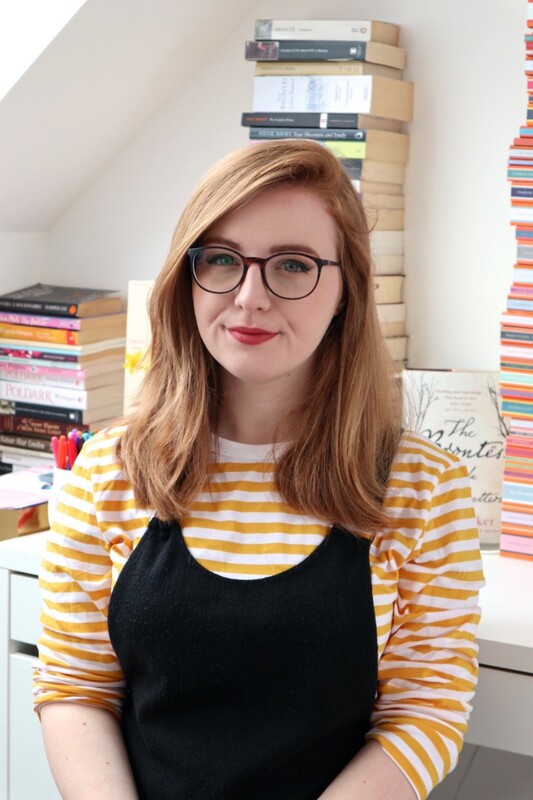 Georgia (The Bibliomaniac) recently posted…celebrities writing books: the positives! Harry Potter is definitely a unique series for so many awesome reasons. Jaclyn Moriarty seems like an author I need to check out. 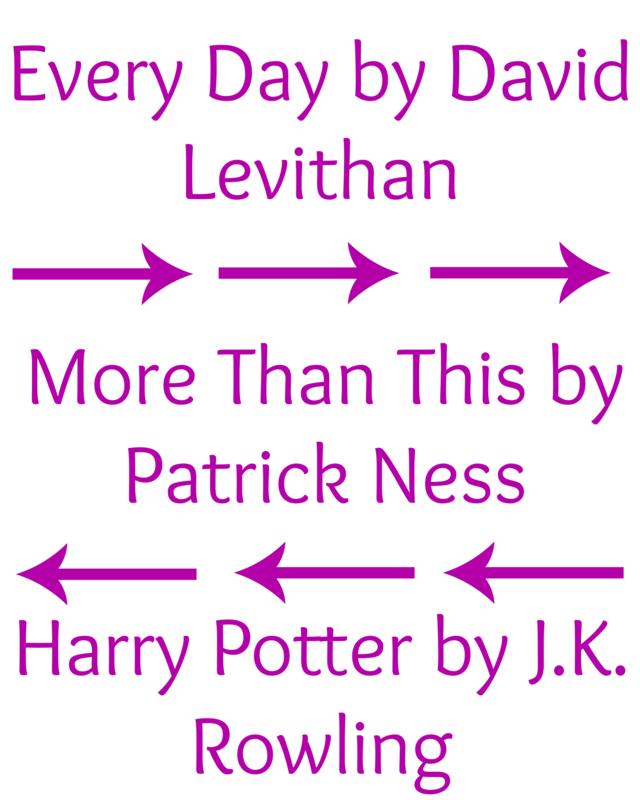 Great list 🙂 Harry Potter made my list too, such a brilliant series and the most unique series I have read. Every Day was unique but I definitely didn’t enjoy that one, I feel like the only one though lol. My TTT.